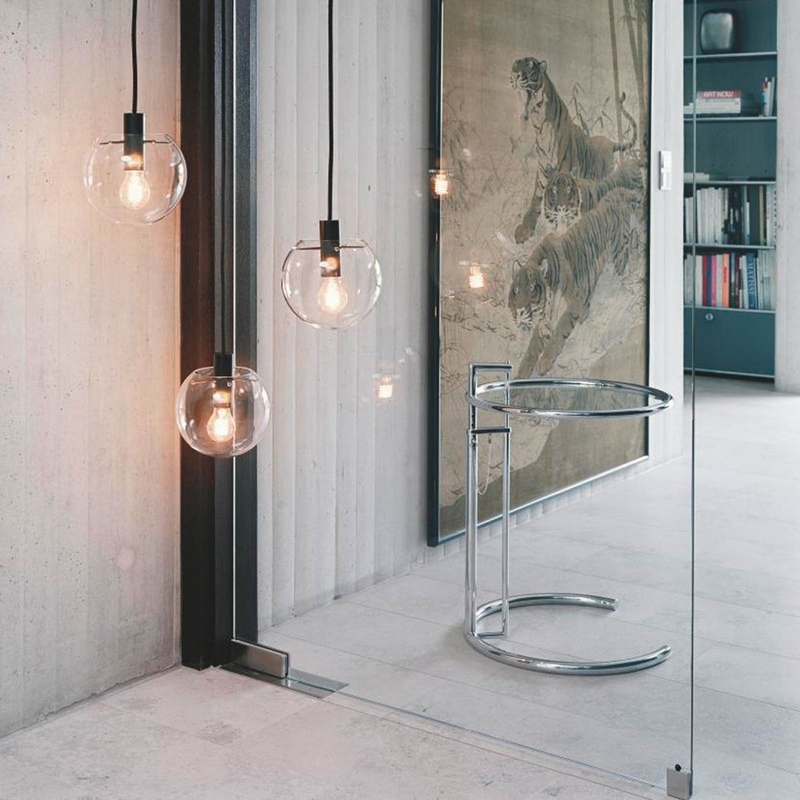 By and large, the notable luminaries of modern architecture and design are men: Marcel Breuer, Mies van der Rohe, Le Corbusier, Alvar Aalto, Walter Gropius, Ernest Race and Arne Jacobsen are just a few famous names. One name that is often lost in the melee and unjustly overlooked is Eileen Gray. She was beyond question one of the early pioneering modernists, a woman whose work was extraordinary and particularly avant-garde. 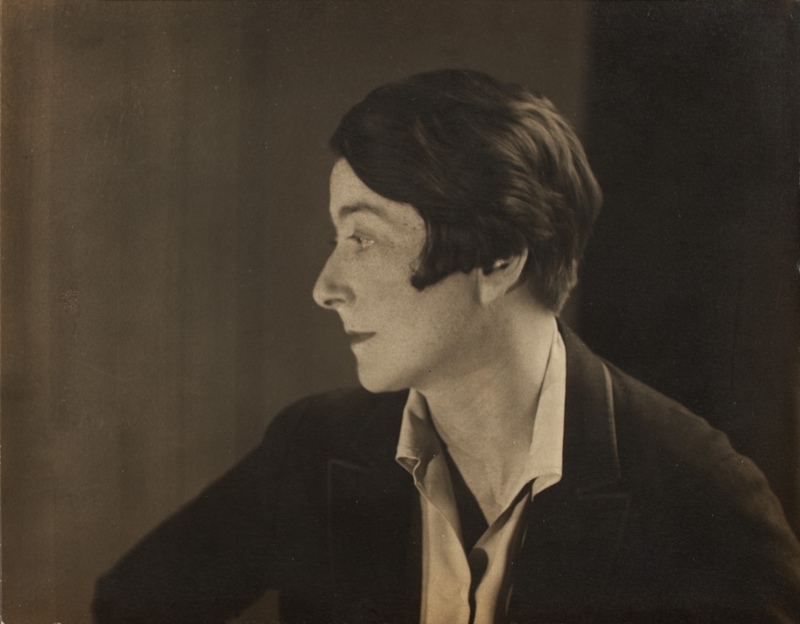 A photograph of Eileen Gray by Berenice Abbott, 1927. Photograph reproduced with kind permission of the National Museum of Ireland (NMI) via A History of Ireland in 100 Objects. Eileen Gray (1878 – 1976) has her origins in Enniscorthy, County Wexford, Ireland. Born into a wealthy Irish-Scots family, Gray’s creative and artistic talents were championed by her father, himself an amateur artist. In 1898, Gray was one of the first women to be admitted to London’s Slade School of Fine Art, where she studied painting before undertaking an apprenticeship in a London lacquer workshop. In 1902, Gray moved to Paris, where she trained further in lacquer work and in cabinetmaking. With tutelage from a master Japanese craftsman, Gray established herself as a leading light in the art of Japanese lacquer work. Brick Screen (originally designed between 1922 and 1925). 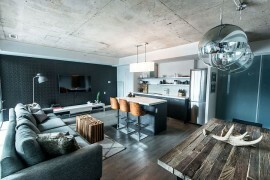 Pictured with Gray’s E1027 table and Day Bed. 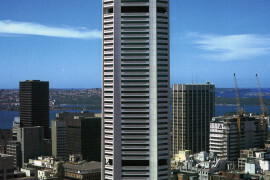 Image © Aram Designs Ltd. In 1917, Eileen Gray was commissioned to decorate a Parisian apartment on Rue de Lota for Madame Mathieu-Levy, a famous modiste. 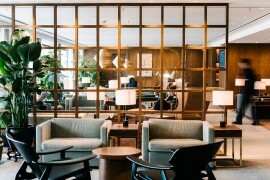 Gray applied her accomplished lacquer work to the walls and furniture, an approach that would inspire her iconic hand-lacquered Brick Screen. In addition, Gray designed geometric patterned rugs, lamps and a Pirogue daybed for the apartment, with many newspaper and magazine articles hailing it “a triumph of de luxe modern living” (Source: Design Museum). 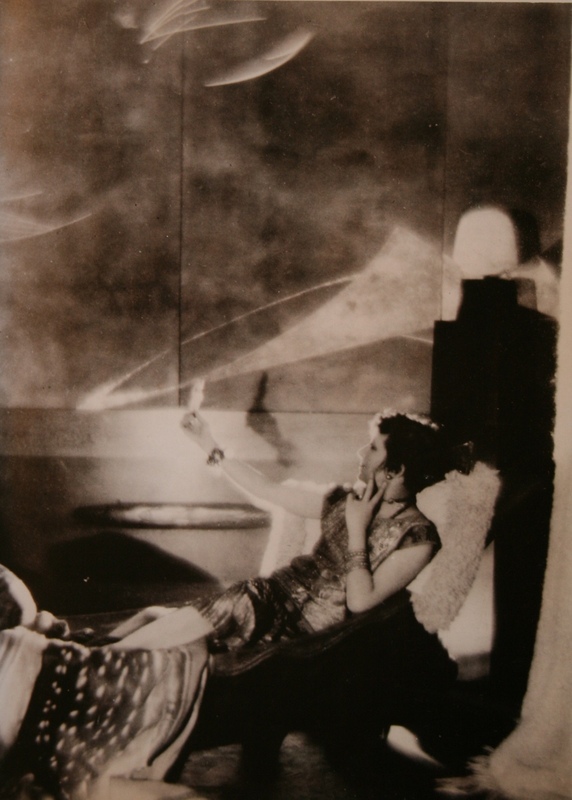 Madame Mathieu-Levy lying in the Pirogue daybed designed by Eileen Gray. Photographed by Baron de Meyer ca 1922. Image via The Red List. 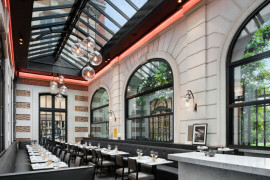 During this period, Gray’s work was at odds with France’s popular Art Deco interiors and garnered much condemnation from French design critics. She was however undeterred, her work receiving praise from several leading lights, including Le Corbusier. 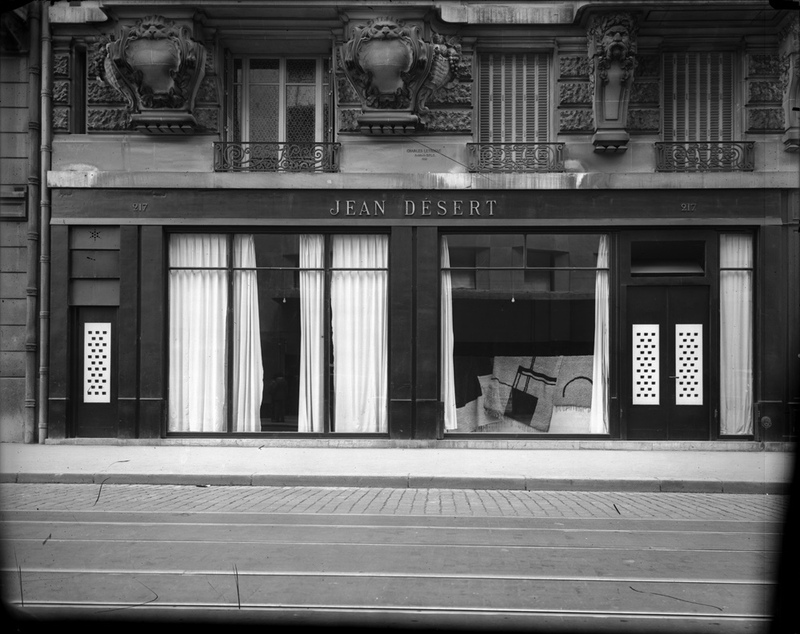 In 1922, Gray opened “Jean Desert” on Rue du Faubourg Saint-Honoré, her own gallery and an outlet for her designs. Throughout the 1920s and 1930s, Gray would become an important advocate for new theories in design and construction. Jean Désert frontage. Image © National Museum of Ireland via Victoria and Albert Museum. 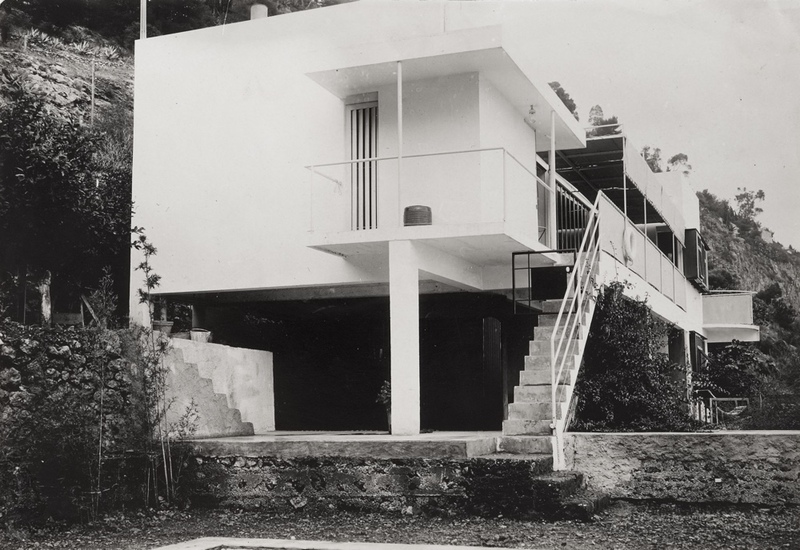 Eileen Gray’s next major design contribution was in architecture, a move in part encouraged by the Romanian-born and Paris-based architect and architecture critic, Jean Badovici (also one of Gray’s lovers). 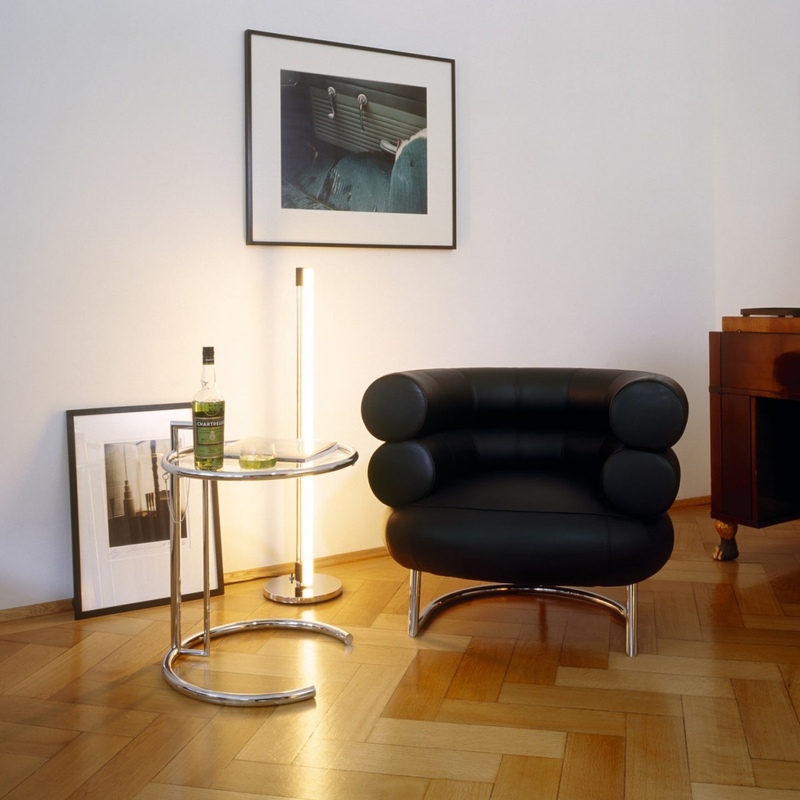 Badovici wrote that “Eileen Gray occupies the centre of the modern movement” (Source: Design Museum). 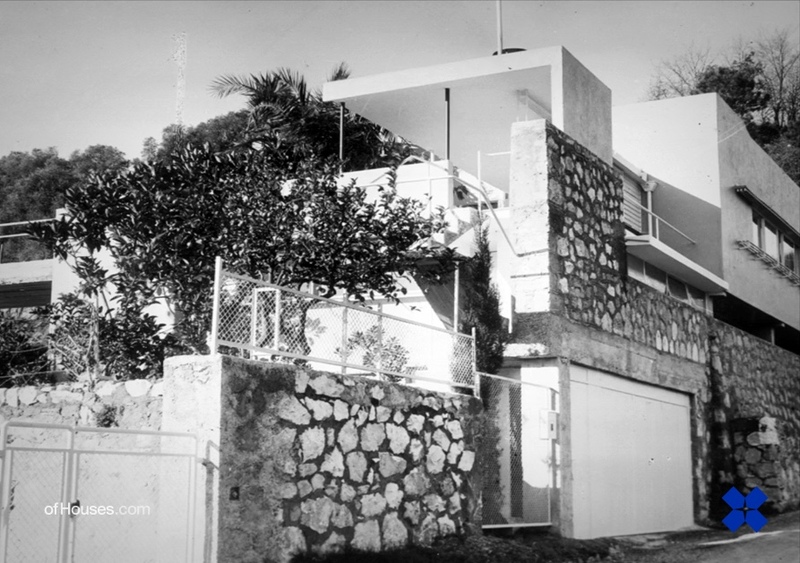 He worked with Gray on the construction of her E1027 house, a residence built on a steep cliff overlooking the Mediterranean at Roquebrune-Cap-Martin, France. Completed in 1929, the house was a milestone and a critical piece of modernist architecture and design. Gray also designed the furniture for her seaside dwelling, including the circular glass E1027 table and the curvaceous Bibendum armchair. She then built a second house, Tempe à Pailla, further along the coast at Castellar; the project was completed in 1934. Gray’s two houses are considered among the purest examples of residential architecture and interior design of that period. Villa E1027. Photograph © Manuel Bougot via The Guardian. 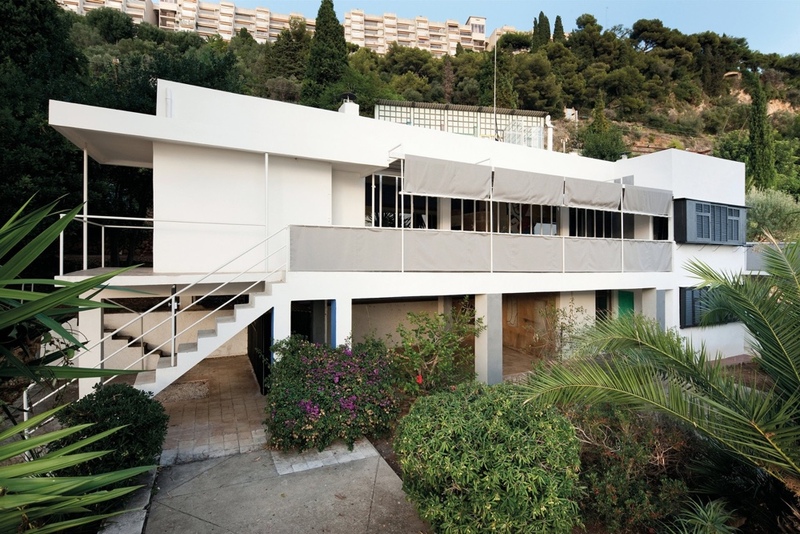 Eileen Gray’s house E1027. Photograph reproduced with kind permission of the National Museum of Ireland (NMI) via A History of Ireland in 100 Objects. Interior of E1027. Image via e.1027.org. Tempe à Pailla. 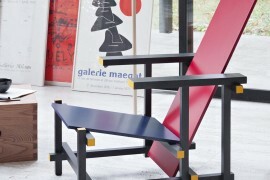 Image © Centre Pompidou via OfHouses. Following WWII, Eileen Gray led a somewhat secluded life, for the most part forgotten by the design and architecture world. To a large extent, her relative obscurity is unexplained. It was then in 1968 that Gray once more came to prominence: Joseph Rykwert, the renowned architectural historian and critic, penned an appreciation of her career for Domus magazine. This revival was further enhanced by a Paris-based auction of the contents of couturier Jacques Doucet’s apartment (a fashion designer and art collector, he had previously commissioned work by Gray). 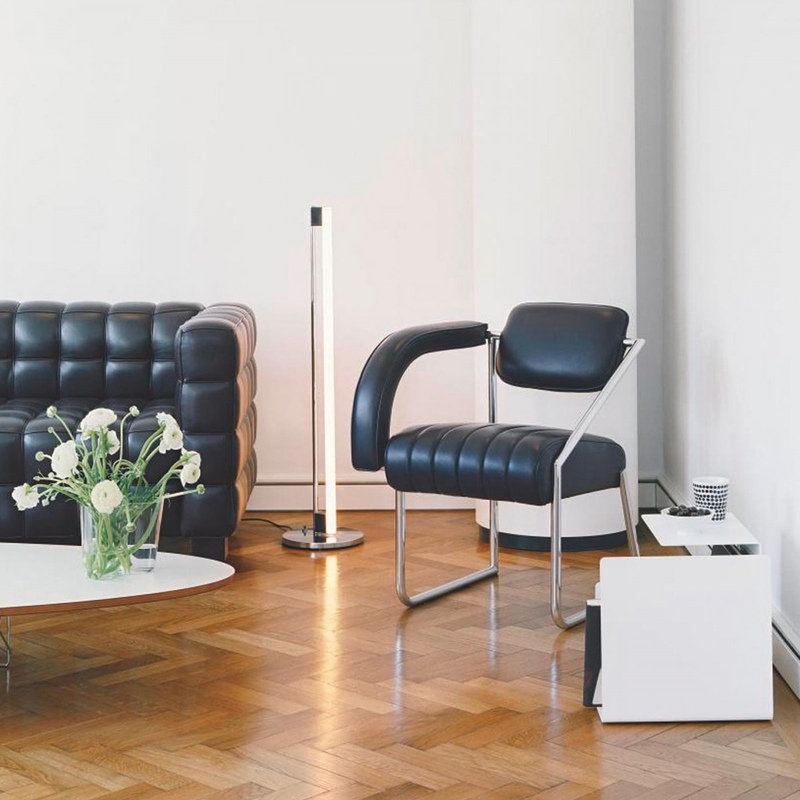 In 1973, Eileen Gray worked with Zeev Aram, owner of Aram (a premier London design emporium), to bring her archive designs back into production. Zeev Aram had met Gray at an exhibition and expressed his desire to produce her work. That same year, Gray granted sole license to Aram Designs Ltd., to produce and market her designs worldwide. Day Bed (1925). Designed for E1027. 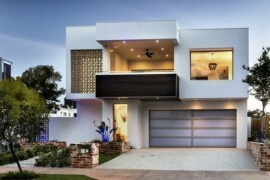 Image © Aram Designs Ltd. 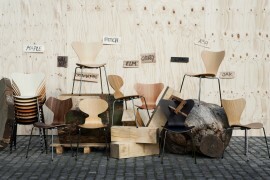 Non Conformist chair (1926). Image © Aram Designs Ltd.
Bibendum chair (1926). The design for this piece was influenced by the famous “Bibendum” Michelin Man. 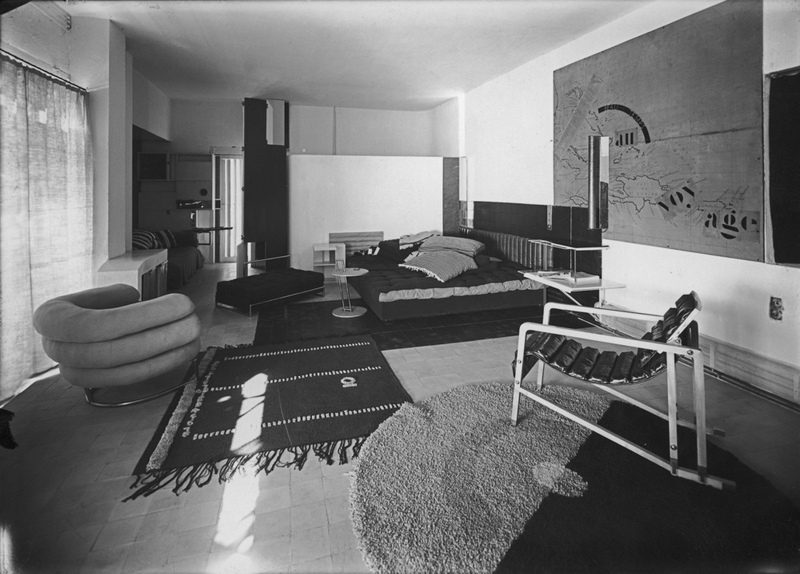 Eileen Gray also jested it was her retort as a feminist to Le Corbusier’s “Grand Confort”. Also pictured is Gray’s Tube light (1927). Image © Aram Designs Ltd.
E1027 table (1927). 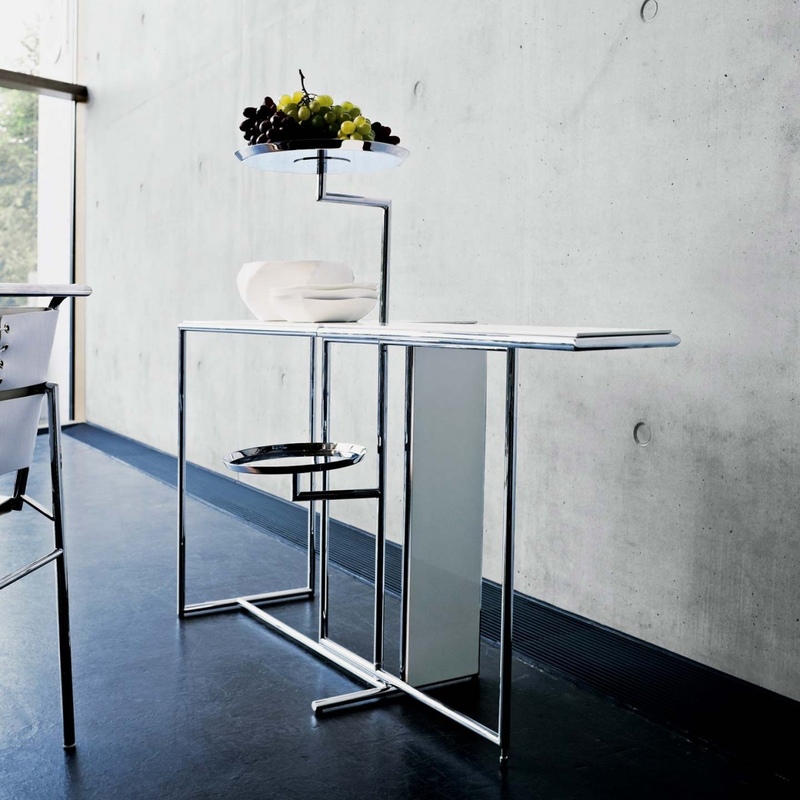 Image © Aram Designs Ltd.
Rivoli table (1928). Designed for E1027. 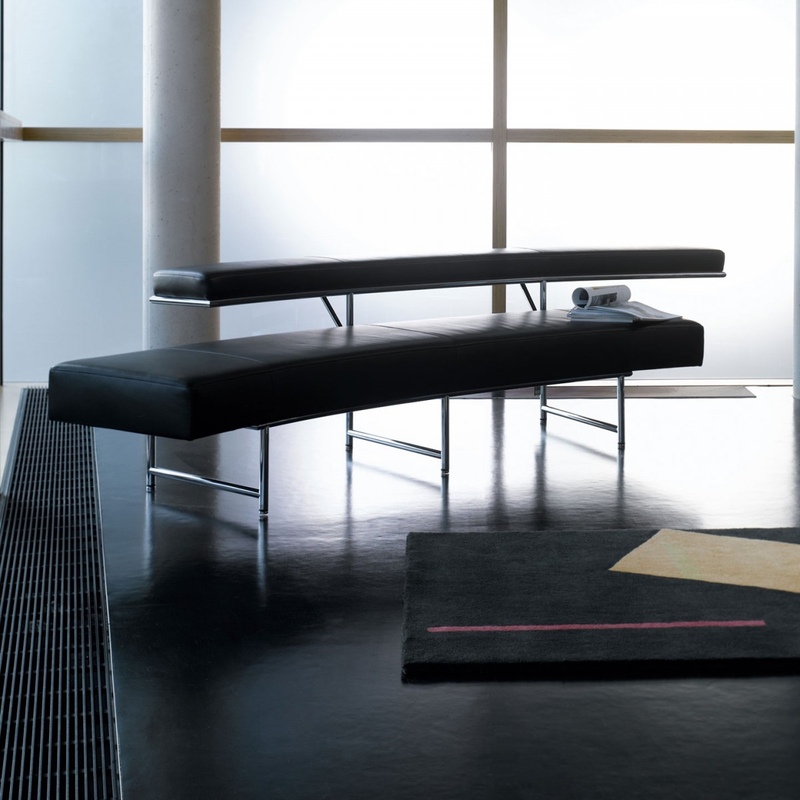 Image © Aram Designs Ltd.
Monte Carlo sofa (1929). 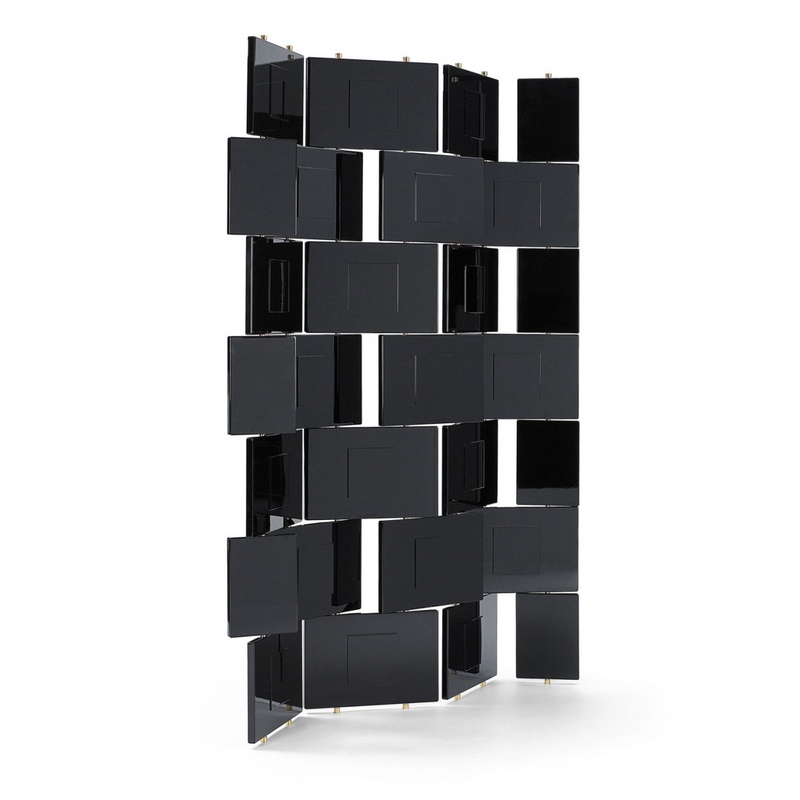 Image © Aram Designs Ltd.
Eileen Gray was a woman who chose to stand alone; she refrained from being part of a “movement” and found success in a domineering man’s world. Moreover, she was unquestionably an equal to her more famous contemporaries. Gray was a universal free spirit, a creator and a visionary. Her style was a distinctive, expressive and lavish exposition of industrially produced materials and geometric forms. In 2014, director Marco Orsini crafted a beautiful film about the life of Eileen Gray. Titled “Gray Matters”, it is an exemplary and engaging documentary about the story of a woman, an often disregarded design heroine and one of the 20th century’s most prominent and pivotal modernist designers. 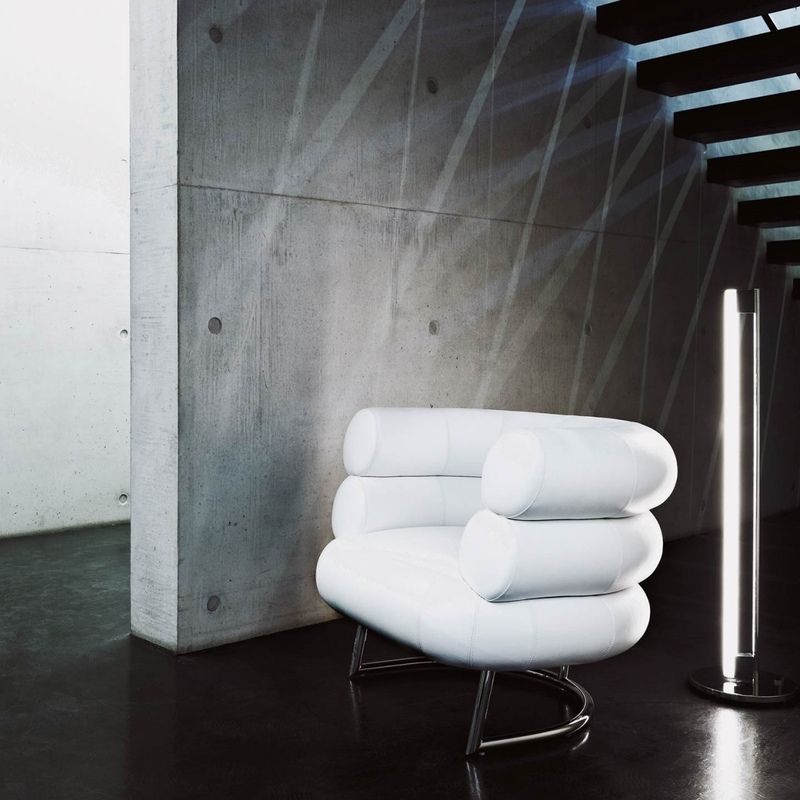 E1027 table, Tube light and Bibendum chair. Image © Aram Designs Ltd.
Eileen Gray. 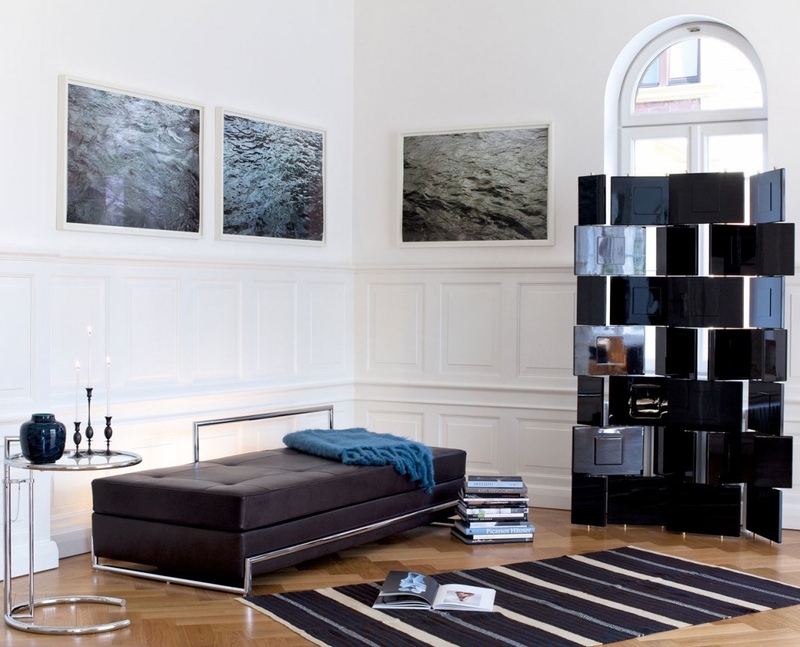 Aram designs Ltd.
Eileen Gray. (September 11, 2014 / Updated March 14, 2016). 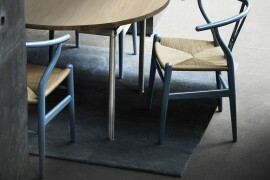 Retrieved from http://designmuseum.org/designers/eileen-gray.